peanut butter cookies recipe | eggless peanut butter biscuits in cooker with detailed photo and video recipe. a soft and crunchy cookie recipe made with wheat flour and a generous amount of peanut butter. 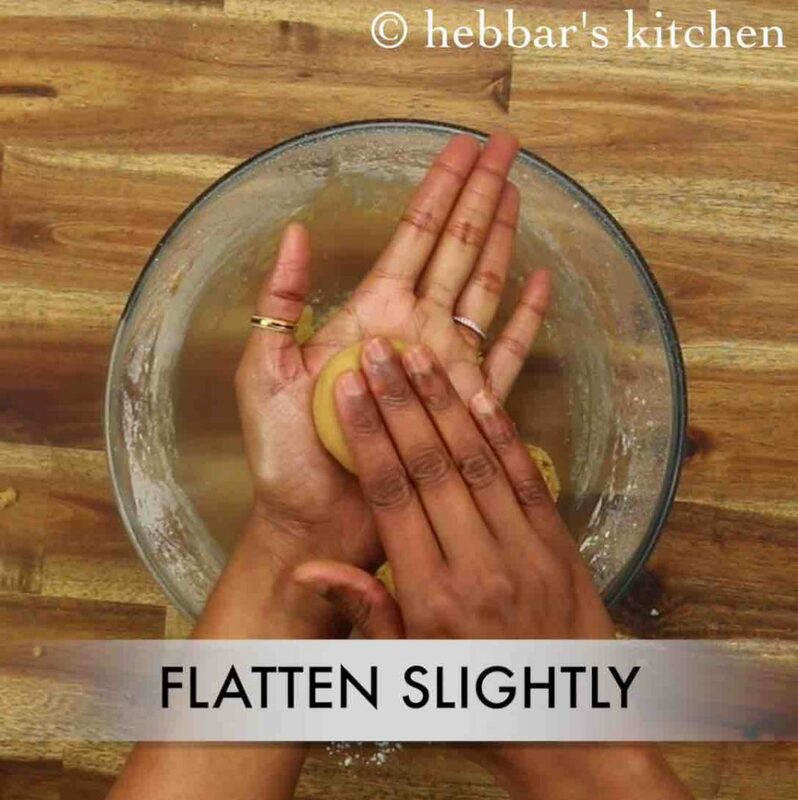 the cookie is very unique filled with the goodness of rich and creamy butter from peanuts. 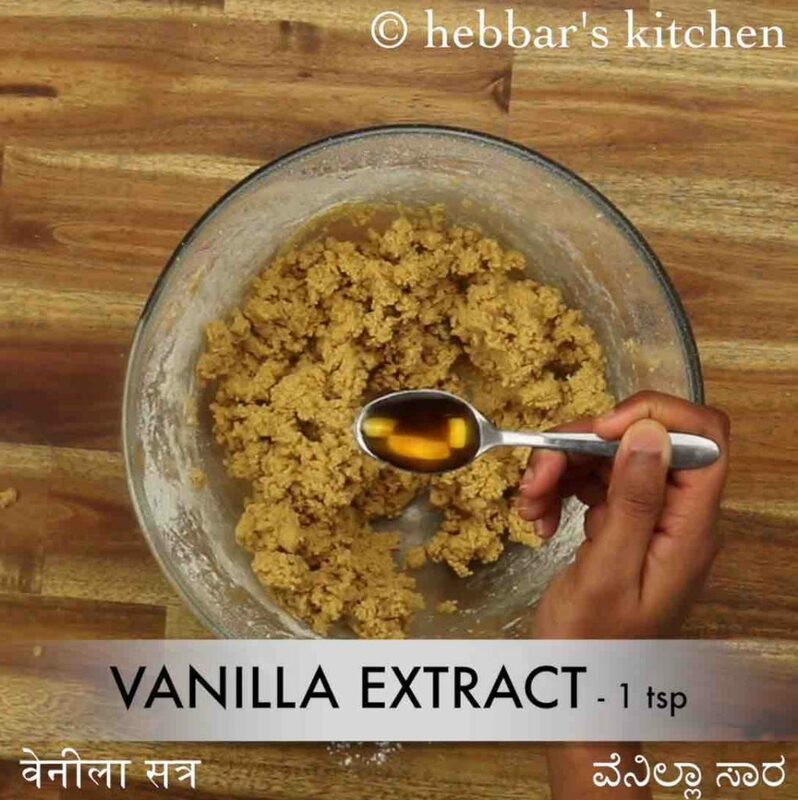 these cookies can be served as an evening snack with a cup of tea or coffee and will be heavily appreciated by kids and adults. 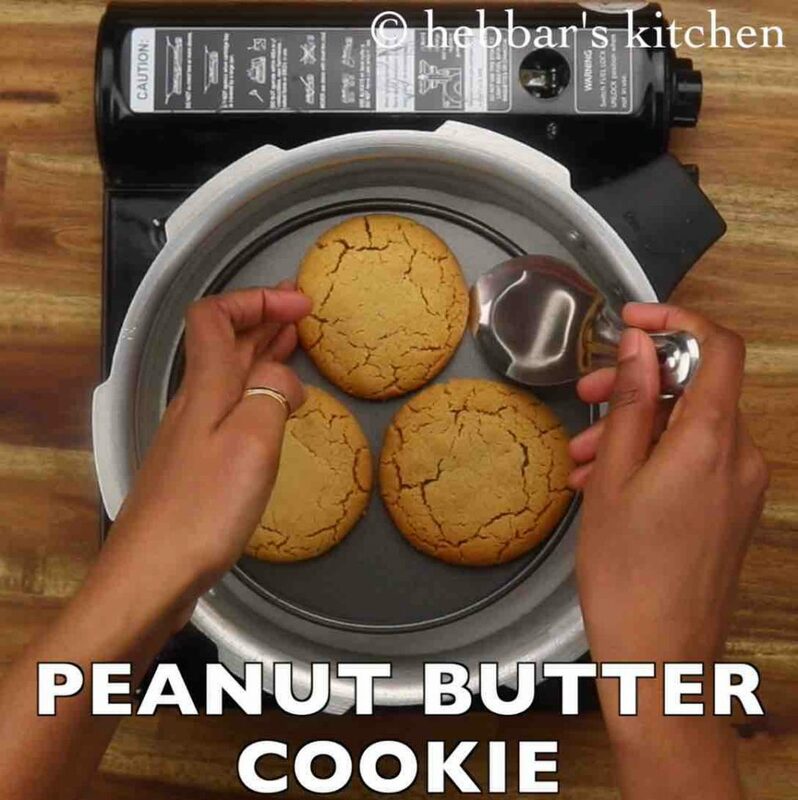 peanut butter cookies recipe | eggless peanut butter biscuits in cooker with step by step photo and video recipe. biscuits or cookies are favourite snacks for many including young and adults. these cookies are generally made with plain flour or wheat flour with choice of flavouring agents to enhance the cookie experience. 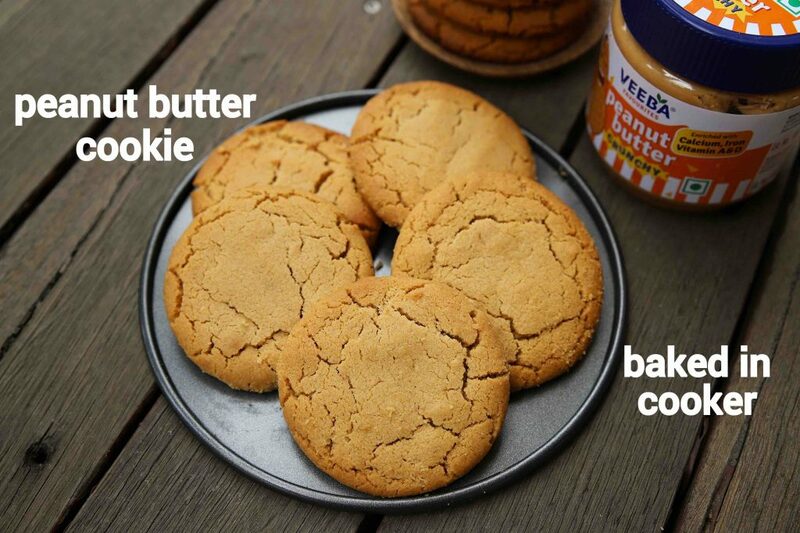 in this cookie, peanut butter is used as flavour enhancer which makes it rich and creamy. 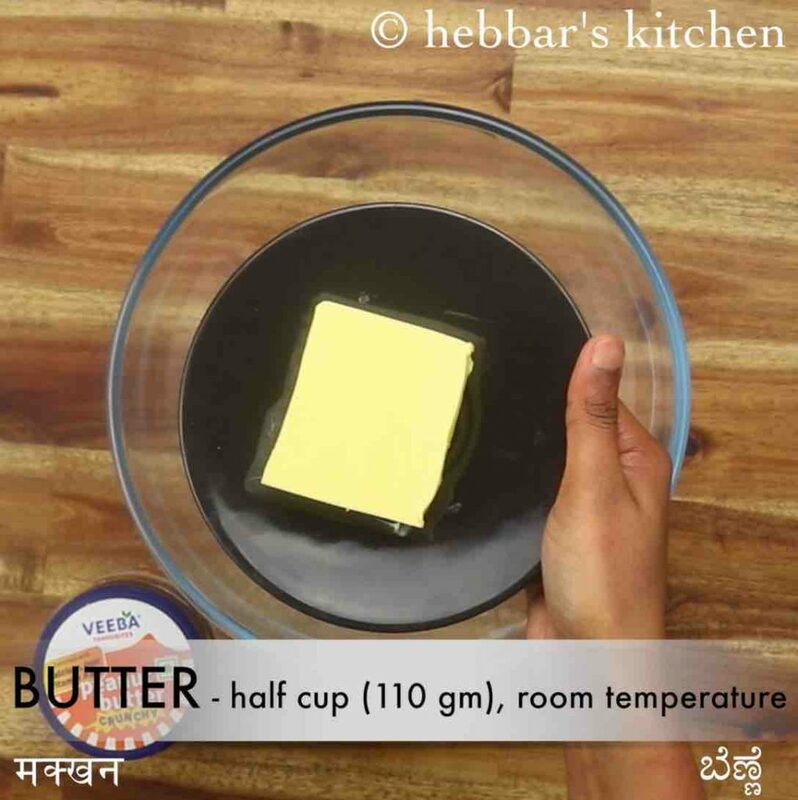 firstly, in a large mixing bowl take ½ cup (110 gm) butter. make sure to take softened butter. 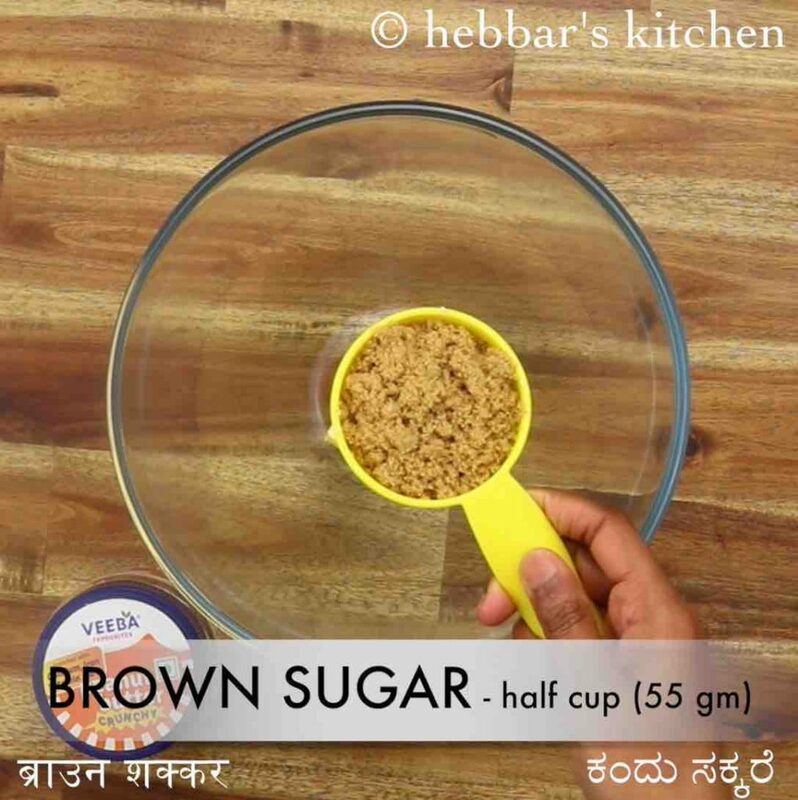 also, add ½ cup (55 gm) brown sugar and ¼ cup (60 gm) sugar. beat well until the butter turns creamy. 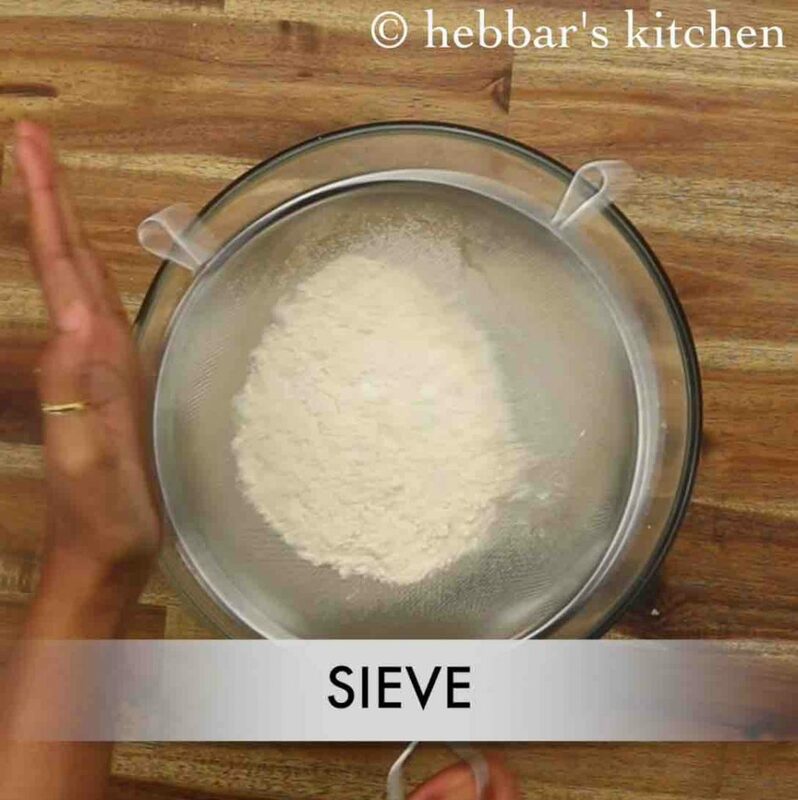 now place a sieve and add 1 cup (150 gm) wheat flour, ½ tsp baking soda, ½ tsp baking powder and a pinch of salt. 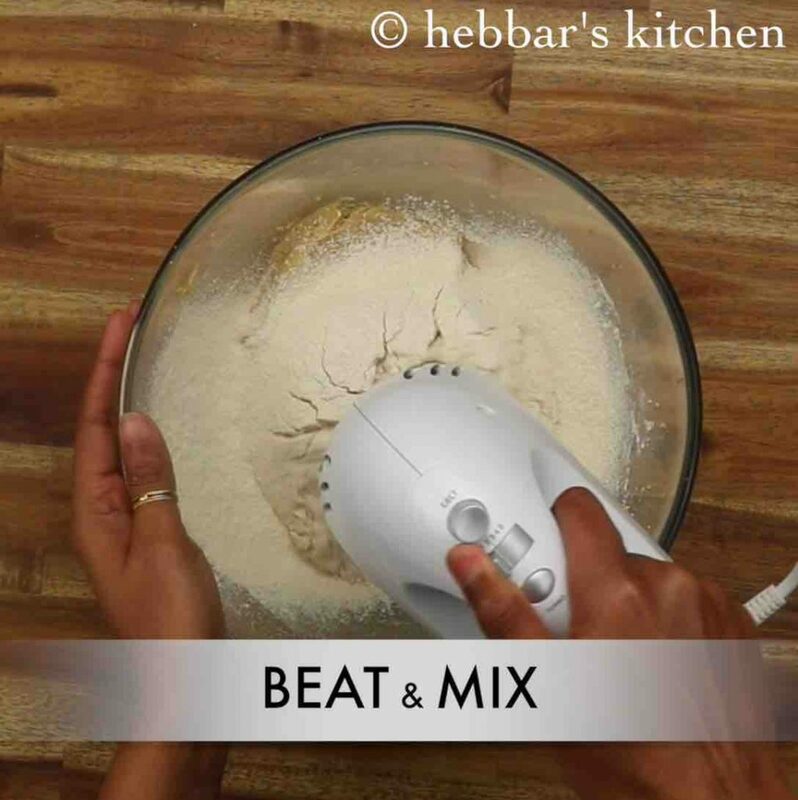 further, beat until the dough is formed. 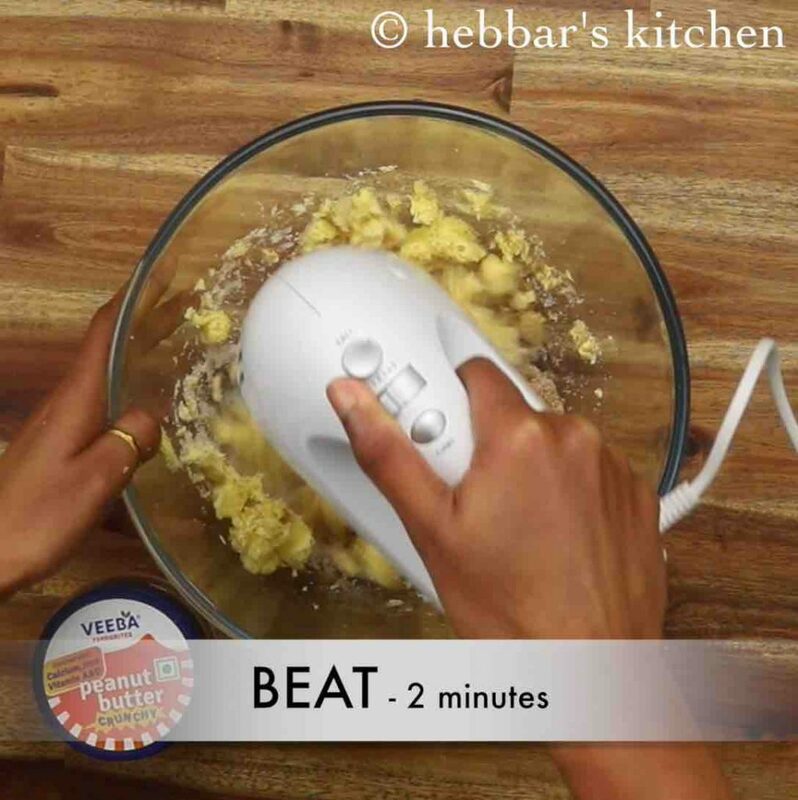 do not overbeat, else the cookie will turn chewy. 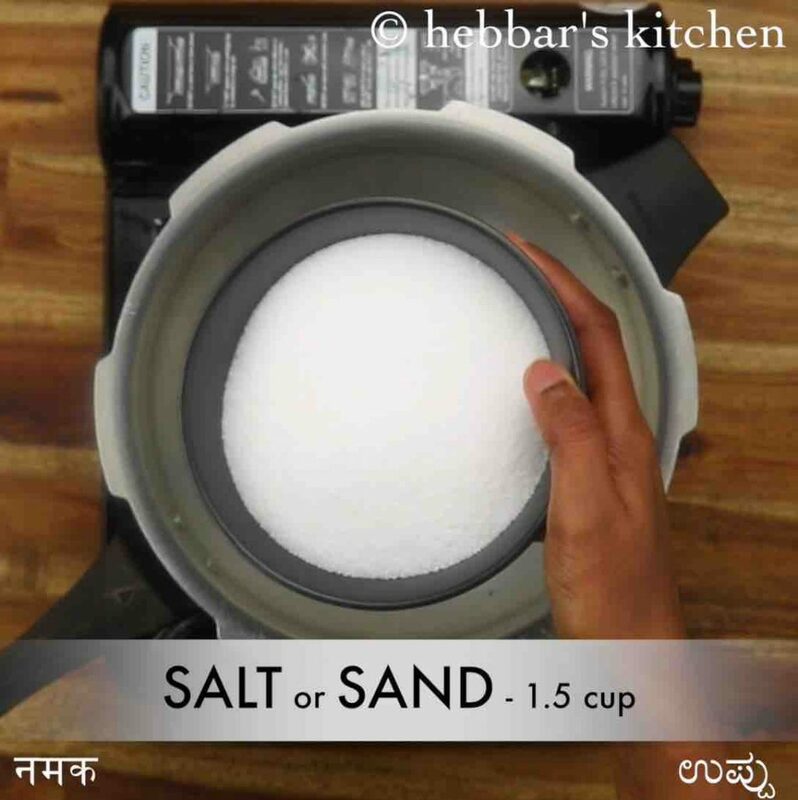 to prepare cookie in a pressure cooker add in 1½ cup of salt and place a small cup or cooker rack. also, place a plate above it. close the lid of cooker without keeping the gasket and whistle. heat for 5 to 10 minutes. as a result, gives a preheat oven atmosphere. 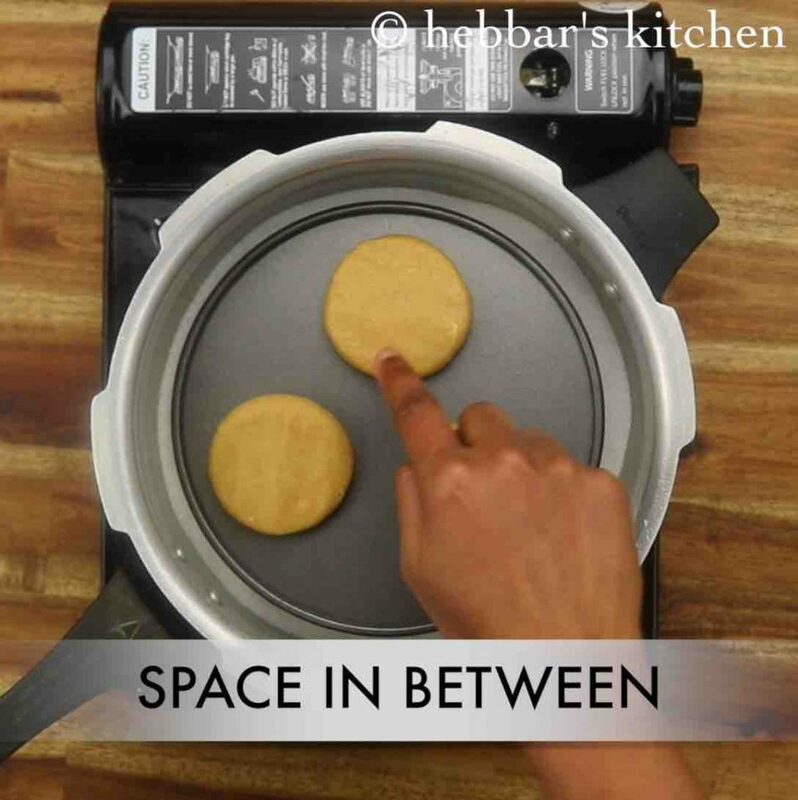 place the cookie dough over the plate giving good space in between. 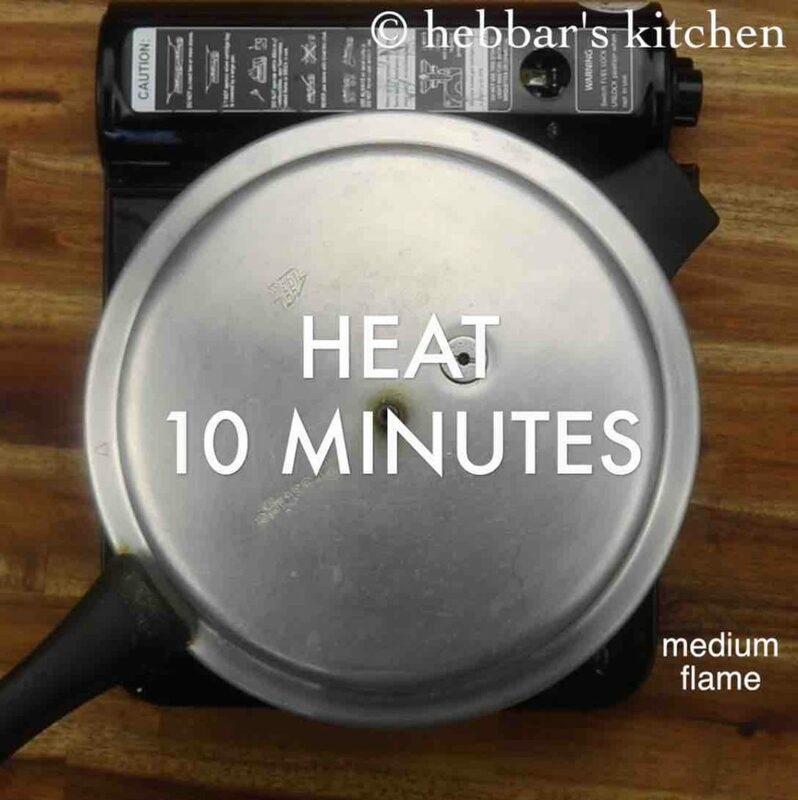 now cover and cook on medium flame for 12 minutes. you can alternatively, preheat and bake at 180 degree celsius for 8 minutes. the cookie will be soft initially. 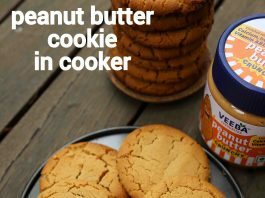 cool completely and the peanut butter cookie turns crisp and crunchy. 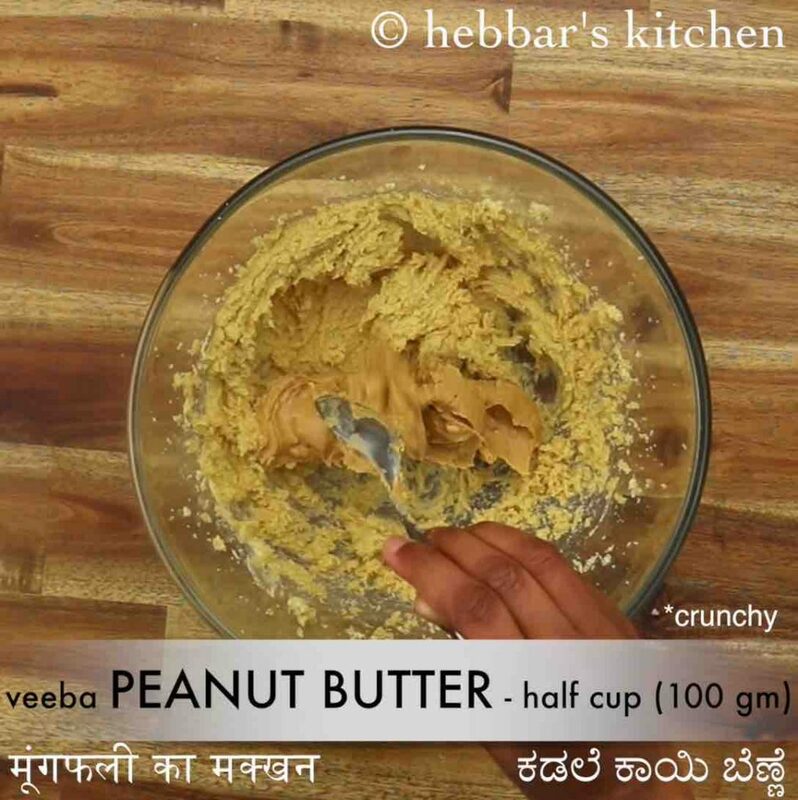 firstly, if you are using smooth peanut butter, then you can add crushed peanuts to get a crunchy bite. 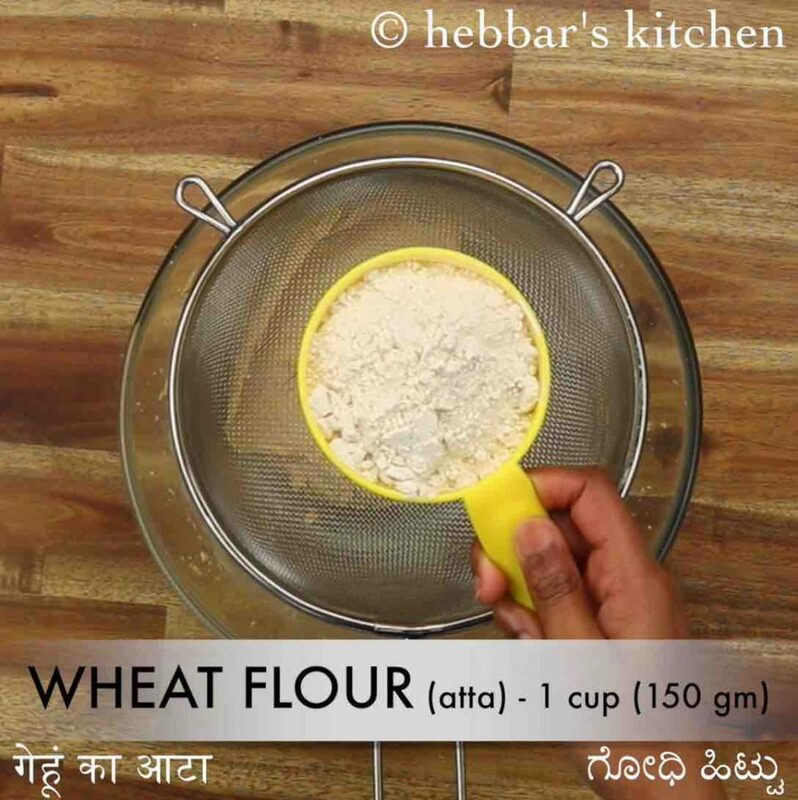 also, i have used wheat flour as a healthy alternative to maida. additionally, add choco chips to have chocolaty flavour. 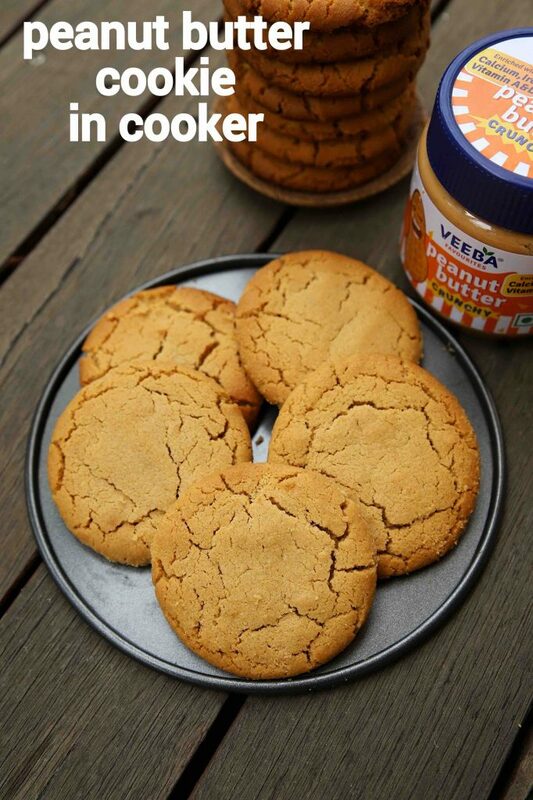 finally, peanut butter cookies recipe taste good when prepared with good quality peanut butter.